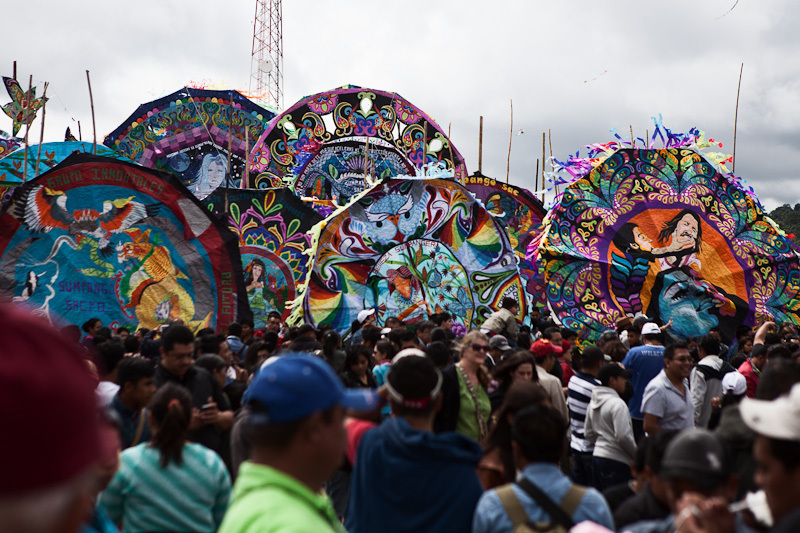 The Kite Festival in Sumpango takes place each November 1st, traditionally known in Guatemala as ‘Day of the Dead’. 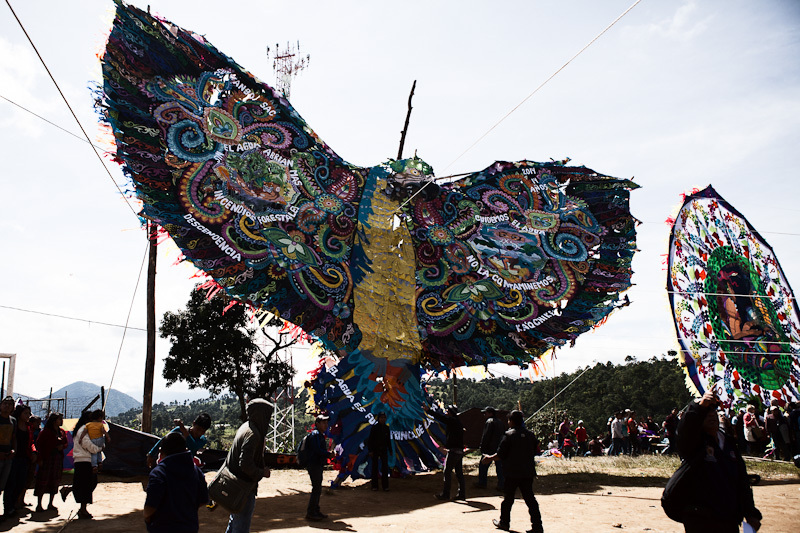 People from all over the country and beyond make the trek to Sumpango to view the stunning kites, which are ornate, large and colorful – crafters are hard at work on creating the magnificent pieces well in advance of the special festival. Throughout the kite festival, partygoers enjoy dancing, drinking, eating and music – it’s a fun and joyous time for everyone who attends. The design and size of the kites vary anywhere from two to 20 meters across and are made of tissue paper, which makes them easy to fly during the right weather conditions. 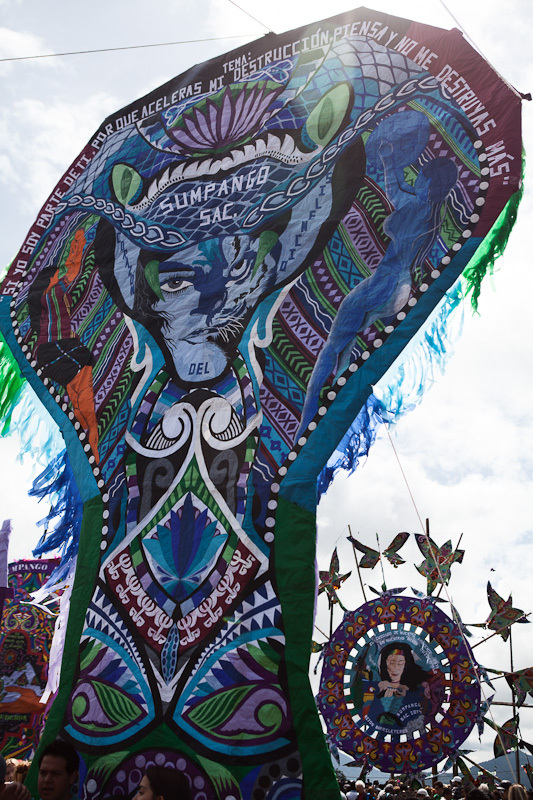 In the months leading up to the kite festival, crafters are cutting and pasting different colors of tissue paper to create these pieces of art. 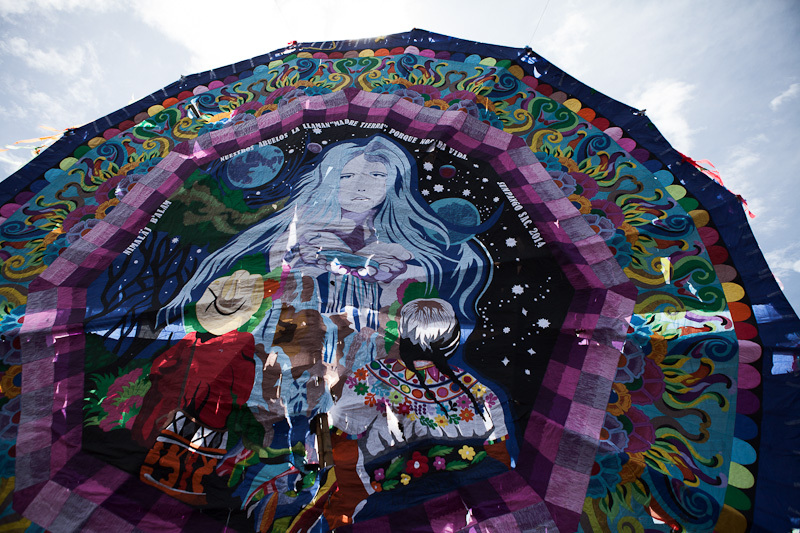 Depending on the theme of a given kite, there are usually various designs or messages associated with it – popular messages from each individual region often pertain to the environment or women’s rights. During afternoon winds, the crafters attempt to fly the kites – which may or may not be possible on a given day. This is a must-see for anyone around Sumpango, as the pictures don’t do justice to the works of art as seen in person! In the surrounding cemeteries it is a day to pay respects to those passed and of family gatherings.